“New York Day” and the approximately four-minute long video is only a teaser of what photographer Samuel Orr hopes to produce. One of the really cool things about this video is its employment of natural sound (or nat sound as we call it in the business). US indie band Darwin Deez are known for their 'out-there' shows and edgy get-ups. So, for their latest music video, director Keith Schofield decided to put front-man Darwin into one of the most uncool places he could muster: reel-upon-reel of stock footage. Thus the 'outsider' connotation of being a rock star is brought to life in a quite literal way. The Startup Kids is a documentary about young web entrepreneurs in the U.S. and Europe. It contains interviews with the founders of Vimeo, Soundcloud, Kiip, InDinero, Dropbox, Foodspotting and many others who talk about how they started their company and their lives as an entrepreneur. The movie is made by two Icelandic entrepreneurs, Vala Halldorsdottir and Sesselja Vilhjalmsdottir, who founded their first company shortly after the economic collapse of Iceland and wanted to motivate other young people to become entrepreneurs. Check out the list of screenings or request a screening if you want to host one The movie will be available online in March 2013. Are you curious how many pictures you have taken? Are you thinking of selling or buying one used and you want to know how much life the shutter has left? You would think Canon would give you an easy way to figure this out. But it doesn’t. You would think you could open the EOS software and it would tell you, or some other method right on the back of the camera, but no. I don’t know about you but if I knew that I was getting close to the 250,000 rated limit (just a guess from what I have heard) on my camera I might be thinking it would be a good excuse to get a new camera. Don’t want that shutter to die on you on an important shoot, right? Some of you might be think, “Wait can’t I just look at the last number of my pictures to tell?” Yes and no, if you have taken less than 10,000 then yes, if over that – no. For some reason all cameras that I have owned always reset to zero after 10k pictures. Well I have found out that I have 23,046 pics 35,868 Live Views = Shutter count 58,914. Taking pictures while in LiveView increments the shutter count. Entering and exiting live view mode does not. With Magic Lantern to find your count, press MENU->DISP. The top model, the HERO3 Black Edition, is 30 percent smaller and 25 percent lighter than the HERO2 with a $399.99 price tag. Its image processor is twice as fast, and the camera can capture 4k video at 15 frames per second, 2.7k video at 30 frames per second. In 2012, however, the beauty of celluloid may well present more problems than it's worth, according to the duo. "It's at a level that you'd really have to think hard about not doing it now going out in digital," says Fricke. "There's a lot of issues shooting film, getting film stock in and out -- we went to 25 countries, there's a big price to pay shooting in film because you have to deal with exposed film / unexposed getting it in, you can't take it with you. Like when we made Baraka 20 years ago, we could carry it with us or check it in, they wouldn't X-ray it, and it just doesn't work like that anymore. So it's very challenging." Magidson adds, simply, "The issues with film are only getting harder, not easier." SCARLET-X W/ SIDE SSD AND LENS MOUNT (BATTLE-TESTED) camera package is the latest addition to the DSMC line, capable of capturing 5K stills and 4K motion footage. 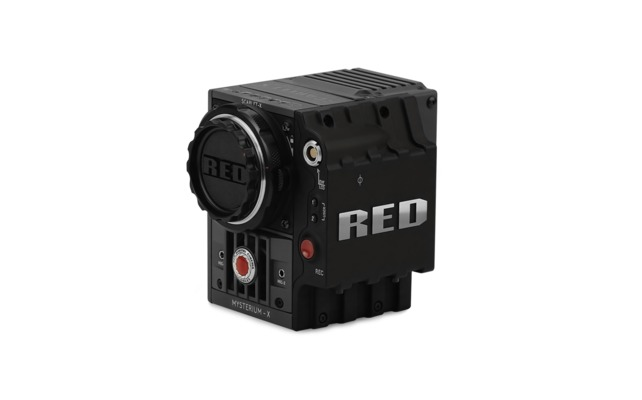 With advanced capabilities such as HDRx alongside a native 13.5 stops of dynamic range, SCARLET-X is the perfect hybrid camera for cinematographers and photographers alike. 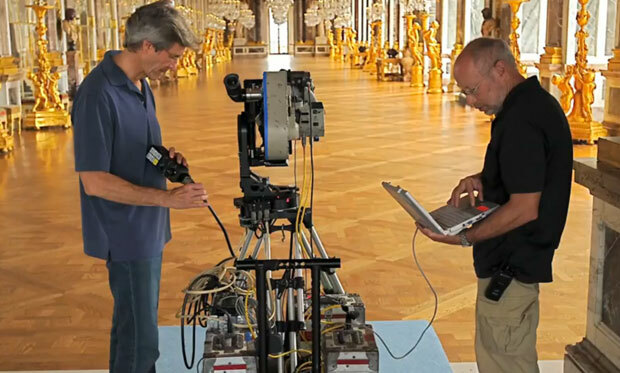 Upgrade your sensor, add modules, and embrace a system defined by Obsolescence Obsolete. Made in the USA. $7100 instead of the regular $11,900. Scarlet Brain, Side SSD and Canon Mount. This is a long story. The workings of single-DIGiC cameras are already well understood. We know how to forge FIRs and we can execute code using this method. Our code gets executed without any interruption to the cameras proper function, we can hook into startup code and simply restart the camera or update the bootflag needed for execution of autoexec.bin. Same applies to autoexec.bin if the bootflag is enabled. Have you ever heard the phrase, "We'll fix it in post?" Depending on how you tackle it, that line could be your worst nightmare or your best friend. 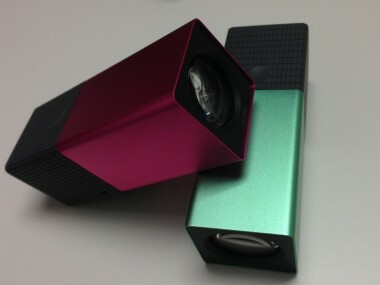 Lytro’s light-field technology eliminates the need to focus — since the key selling point of the camera is its ability to refocus pictures after the fact. The very mention of QR codes will likely incite groans in the least cynical of technophiles. What once was a tangible and exciting example of two-worlds colliding, bringing the physical world into the digital realm with funky barcodes and smartphones, now illustrates what can happen when we’re not really quite sure how to implement a fledgling technology. Football teams with QR codes on their shirts? I rest my case. I’d like to mention that the Matterhorn team, our previous codename, is the finest team I’ve ever worked with. I’ve never met more talented, driven individuals, and that without our tight bond this project could never have happened. I should also mention that these views are my own and not those of Disney, you know how that goes. Please read and get a glimpse behind the curtain of how we made it happen. The project was originally uploaded in 2010, but YouTube blocked part of it over copyright claims. "I had to take out the famous scene of Slim Pickens riding the bomb and the nuclear holocaust credits to have this video viewable because those scenes were taken directly from the movie," the auteur laments. "I was hoping to have the Slim Pickens scene done in Lego by now but I just never had enough time or effort to do it, maybe some time in the future. Enjoy." The web is a wonderful thing. It's full of endless resources and tutorials for people wanting to learning the art of After Effects CS6 (and previous versions). But, sometimes too much choice can be confusing so we've picked 5 top sites that will really help you get to grips with the compositing software. Plexus is a plugin that promises to turn After Effects into a true hybrid 2D/3D application for your motion graphics projects. Here, Mike Griggs puts it through its paces. Nobody should blame the movies for Friday’s horrific killing spree during a screening of The Dark Knight Rises at a theater in Aurora, Colorado. At this point we know little about James Eagan Holmes, the 24-year-old Colorado man who allegedly donned a gas mask and body armor before sneaking into the Century 16 theater in Aurora and firing into the crowd during a midnight screening of The Dark Knight Rises. Holmes is being questioned by police, and who knows what they will discover. It’s a good day to be Fred and Carrie. 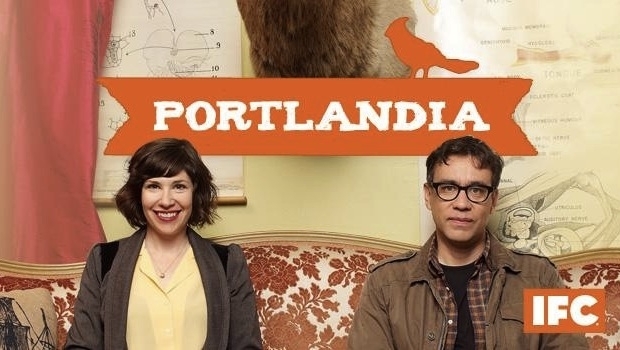 The nominees were announced for the 64th Primetime Emmy Awards this morning and “Portlandia,” still hot off its second season, was nominated in two major categories. Considering that only 16 episodes have been aired between the show’s two seasons, that’s pretty impressive, especially given the show received one Emmy already for its first season. If you work regularly with an editing program of any sort – be it Final Cut Pro, Adobe Premiere, Avid, or other advanced programs – chances are good that you understand how truly important your personal preference files are. From keyboard shortcuts to import/export presets to installed plugins, preference files can incorporate a lot in a good editing program. In fact, without the proper preference files in place, an experienced editor’s productivity can completely disappear. BREAKING: Game of Thrones Season 3 premieres March 31, 2013 on HBO. What are you most excited to see?